This wonderful school program will delight your students. 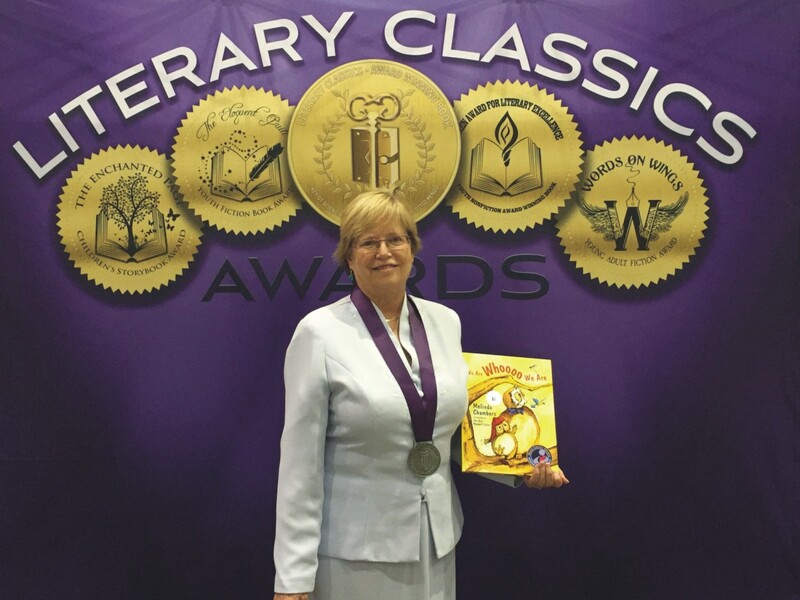 The Mom’s Choice Award Winning Author Melinda Chambers brings her story book characters to life through captivating illustrations by Sue Ann Spiker and music by Chris Chambers. Fraidy Cat can’t muster up the courage to leave the safety of his shelf in the barn. Teaching trust and confidence, this multiple award winning book will be a favorite with your students. Fraidy Cat overcomes his fears with the help of a most unusual creature and will inspire the reader to be more confident. Two of the most common problems in school, gossiping and bullying, will be addressed through her book characters from We Are Whooo We Are. Melinda will discuss being happy with “whoooo” you are and will talk with your students about making choices to help them become the best they can be! Nature provides us with numerous lessons if we are willing to listen and observe. This is a story about the wonders in the forest as seen through the eyes of an owlet. The wise father owl explains to his son in a light-hearted way that he can’t be something he’s not, because he is whooo he is. The surprise ending leaves the reader with the message that we have the ability to choose the kind of person we want to be. The Day the Snapdragons Snapped Back, will also delight your students! While digging up a luscious bone, the puppy digs up Beulah’s beautiful garden of snapdragons. Mother dog tells her young pup about the care Beulah had given her snapdragons and how, years ago, chipmunks tried to destroy the flourishing flowers. Puppy learns that for gardens…and puppies…can get them through the rough times and if the roots are strong, the garden will flower again. These beautifully illustrated books bring the stories to life and provide important lessons from nature that can be applied throughout one’s life. Award-winning author Melinda Spiker Chambers grew up with a flock of sheep behind her house. She fondly remembers waking up in the middle of the night from the “baas” of lambs her father had put in a box next to the heater to warm up because lambs had been near death from the cold. Her previous books, We Are Whoo We Are, The Day the Snapdragons Snapped Back, Fraidy Cat, And We Helped, have all won Mom’s Choice Awards—designating them among the best in family-friendly products. Melinda is a retired educator, with degrees from West Virginia University and Ohio State University. She has worked as a WVU Extension Agent and then middle school teacher, followed with Nutrition Director for Hampshire County. Melinda currently lives in Hampshire County, West Virginia with her husband, Byron. Together they have two children and five grandchildren. Melinda currently volunteers her time as a Sunday School teacher, creative writing teacher, 4-H volunteer, counselor, and mentor. She is also available for school visits. Call 304-789-3001 for more information.